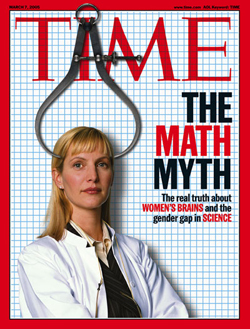 The changes are being driven by students’ lagging performance on international tests and mathematicians’ warnings that more than a decade of so-called reform math — critics call it fuzzy math — has crippled students with its de-emphasizing of basic drills and memorization in favor of allowing children to find their own ways to solve problems. “For all content areas, practice allows students to achieve automaticity of basic skills — the fast, accurate and effortless processing of content information — which frees up working memory for more complex aspects of problem solving,” the report said. Under the new (old) plan, students will once again move through the basics — addition, subtraction, multiplication, division and so on — building the skills that are meant to prepare them for algebra by seventh grade. This new approach is being seen as an attempt to emulate countries like Singapore, which ranks at the top internationally in math. 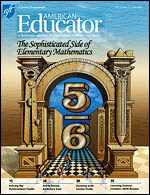 What's Sophisticated about Elementary Mathematics? Who Says a Woman Can't Be Einstien? Students are often surprised to learn that they still have hurdles to clear before they can begin college-level work. Fewer than half of all New York State students who graduated from high school in 2009 were prepared for college or careers, as measured by state Regents tests in English and math. At LaGuardia Community College in Queens, 40 percent of the math classes are remedial. About 65 percent of all community college students nationwide need some form of remedial education, with students’ shortcomings in math outnumbering those in reading by 2 to 1. CUNY officials say that only about 25 percent of full-time students at the community colleges graduate within six years. Compass exam, that would allow those who passed to start studying college-level math.